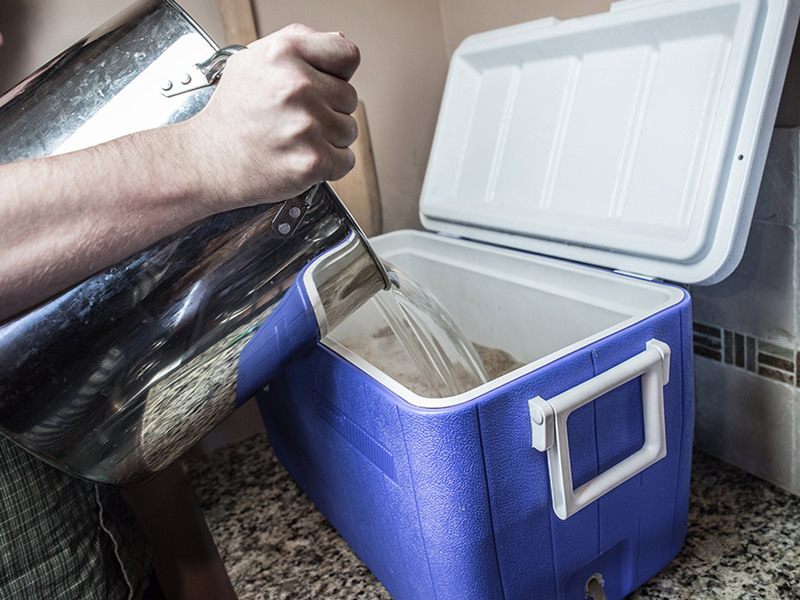 As homebrewers, we’re usually never satisfied until we know how things work. We constantly ask why and how something is done until we understand the basic concept. When you start brewing all-grain, you hit a certain temperature to hit a specific characteristic because you were told to do so. You start picking up on words like alpha-amylase, beta-amylase, mash out and protein rest, and now you’re more curious than ever about what’s going on in the mash. What Are Enzymes In Beer? Enzymes are proteins that are found practically everywhere—your saliva and digestive system, plant photosynthesis, and most importantly, your livers. They have an important role as a non-living biomolecule because they catalyze biochemical reactions. Each enzyme is made up of several thousand different amino acid chains which take on specific shapes suited for specific jobs. In other words, they make reactions occur quickly and at the temperatures of living organisms. They join molecules together, take large molecules apart and rearrange molecules into something different. Each biochemical reactions is catalyzed by a very specific enzyme. The molecule the enzyme acts on is called a substrate, and the enzyme is usually named after the substrate (i.e. Beta-Glucanase acts on Beta-Glucans). Just know that the enzyme’s shape is fragile and can be damaged by a multitude of factors, thereby rendering the enzyme unable to act as a catalyst. This is called denaturing the enzyme, and once it’s been damaged, it’s very difficult to renature it. The rate at which the chemical reaction occurs is affected by temperature, enzyme and substrate concentration and pH. Enzymes catalyze reactions more quickly as temperature increases in their specific range. But, they’re also denatured by heating above their specified range, and reach peak activity just before they are destroyed. All the enzymes you’ll need for conversion are present in the final malt. The malting process develops enzymes that reduce starches and proteins during malting and mashing, which helps create better clarity, head retention and body. For homebrewers, we are concerned with the activity of two primary enzymes in beer: alpha- and beta-amylase. Alpha-amylase breaks down large, complex, insoluble starch molecules into smaller, soluble molecules for the beta-amylase. It is stable in hot, watery mashes and will convert starch to soluble sugars in a temperature range from 145°F to 158°F. Remember that the temperature range is important because as you reach higher temperatures, the denaturation process increases and enzymes are mostly gone within five minutes. Pouring grains into hotter “strike” water to account for temperature drops can cause problems, too. Exposure to hotter temperatures even for a few seconds can affect enzymatic activity, so make sure to get your temperature down as quickly as possible. Beta-amylase is the other mash enzyme capable of breaking down starches and creating soluble sugars. After the alpha-amylase enzymes create smaller soluble molecules, the beta-amylase enzymes create most of the fermentable sugars by breaking down starch to create maltose, glucose and maltose. These enzymes help create lighter bodies and more alcohol and are most active from 131°F-149°F. As the temperature approaches 149°F, these enzymes are operating extremely fast, but are also being denatured quickly. In short, if the mash is held at a temperature within the beta-amylase range, then a greater proportion of soluble sugars will be maltose and thereby be more fermentable. Mash temperatures play a very critical role in determining the body, fermentability and developing the aroma and flavor profile of your beer. 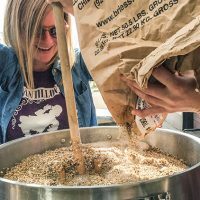 Depending on the style of beer brewed and the type of malt and/or adjuncts used, a different mash temperature or a combination of temperatures and schedule may be best for the brewing beer. Phytase (Acid) Rest 86° – 126°F 5.0 – 5.5 Acidifies the mash. Best with under modified malts. Will not reduce the pH a lot by itself. More of a historical method used with pale malt in Pilsen due to water devoid of minerals. using 25% or more of un-malted barley, wheat, rye and oats. proteins to medium and short-chains. Typically done for 15-30 minutes. modified malt, and un-mlated barley, wheat, rye and oats if using more than 25%. body. Can be slower to work than beta-amylase. Most active at 158°F. Alpha and beta-amylase act together to degrade starches to produce a range of soluble sugars in the wort. Below a certain temperature (149°F), alpha-amylase activity is low and so the large starch molecules remain insoluble because the enzyme is unable to break them up. Same goes for above a certain temperature (150° F), beta-amylase activity is hindered, limiting the amount of fermentable sugars for the wort. These temperature ranges are small, and leaves little room for a brewer to operate and influence the types of sugars that end up in the wort. 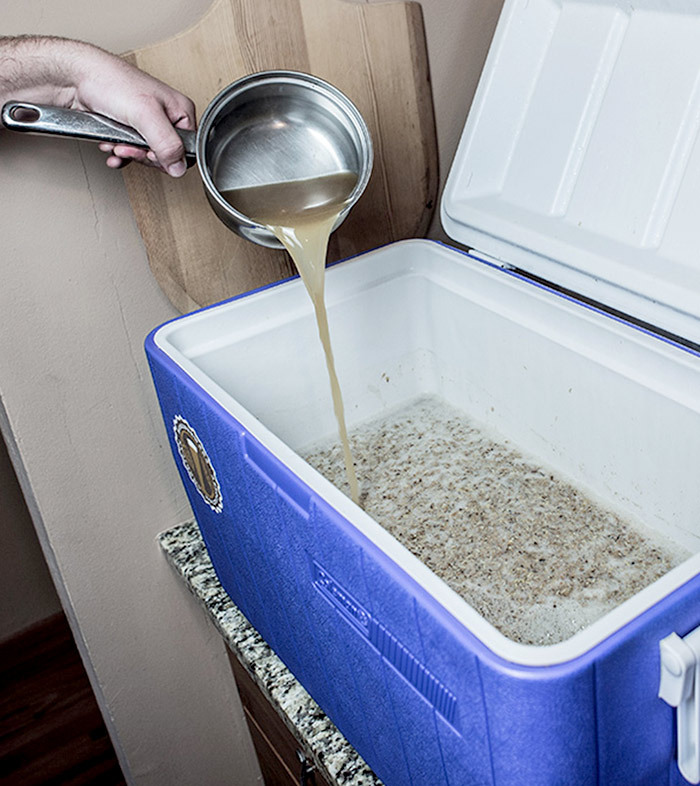 A lower temperature results in a wort that is more fermentable but may yield slightly less, while a higher temperature will yield less fermentability but increased extract efficiency. Here are some important influencing factors on denaturing enzymes in beer. Enzyme and substrate concentration is how concentrated your mash is, and mostly dependent on mash thickness. 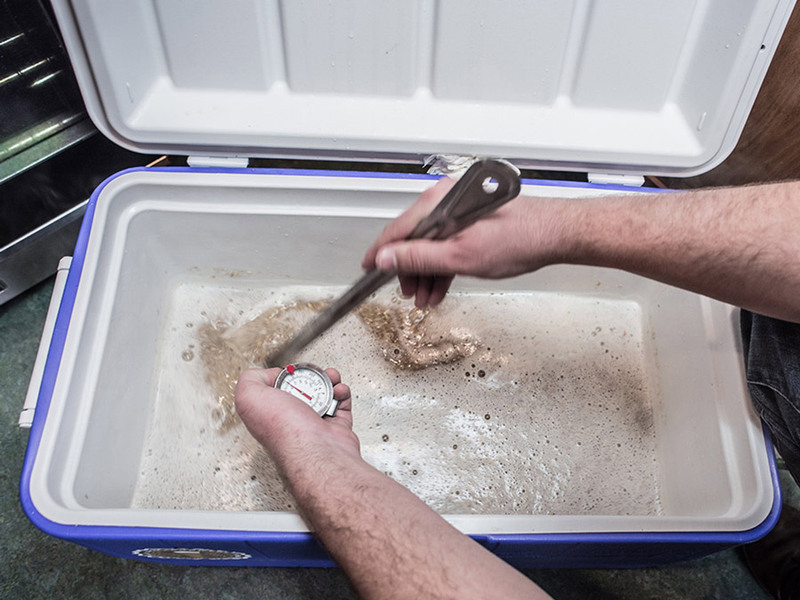 Although not a critical factor, mash thickness is still important to consider when you start mashing. A thick mash is anywhere between 1-1.25 quarts water/pound of grain. A thick mash gives a quicker starch conversion and is more beneficial for protein breakdown because it offers better protection for your enzymes (i.e. beta-amylase). It’s more suited for step mashes because enzymes are not denatured as fast by temperature increases. A thin mash is anywhere around 2 quarts water/pound of grain, which dilutes the concentration of enzymes and thereby gives them less protection, a slower conversion, but provides a more fermentable mash because the enzymes are not inhibited by a higher concentration of sugars. Each enzyme has an optimum temperature, the temperature at which the enzyme is most active. Once the temperature goes below or above the temperature range, you affect the productivity of that enzyme. Think about a cold morning. You’re lethargic and slow, but as it warms up you start to move faster and your energy improves. However, if it gets too hot, you start to slow down again. This is essentially how enzymes work. More specifically, the active site on the enzyme changes and the substrate that pairs with the enzyme will no longer fit and becomes inactive. Mash pH is another factor that affects the activity of various enzymes. It should fall within a range of about 5.2 to 5.5 for the primary enzyme activity. If you mash using distilled water, you’ll end up with a pH in between 5.8 and 6.0. Adding calcium ions to the water will cause the mash pH to drop down into the 5.5 to 5.6 range, with additional calcium ions dropping it further. You’ll want to use a pH strip to calibrate your water pH level as you mash. 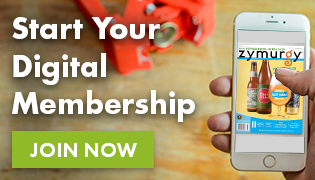 Although enzymes are fragile, they are reusable and generally affected by temperature and pH. Enzymes have an optimum temperature and pH that they are most active. Enzymes have a significant affect on finished beer and are also present in yeast cells. Understand the primary mash enzymes (alpha and beta-amylase) and their optimal temperature and pH levels to achieve best results. It’s important to understand the factors that denature enzymes. 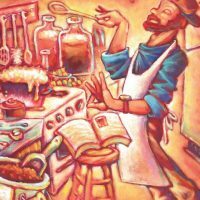 Know what you want to accomplish before deciding your mash technique. 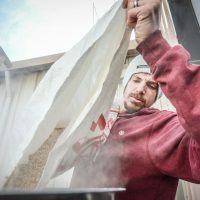 John Moorhead is Director of the National Homebrew Competition and AHA Special Projects Coordinator.